The Andrew Carnegie Free Library & Music Hall owns a collection of 100 of the approximately 132 known photographs taken of Abraham Lincoln. Through these photographs and captured for posterity one can witness the transformation from a smooth-shaven young man to a weathered, bearded statesman by the time of his death in 1865. The Lincoln Gallery – Rare Collection of Photographs of Abraham Lincoln. The photographs that comprise the Andrew Carnegie Free Library & Music Hall’s Lincoln Gallery were first exhibited at the ACFL&MH from February through April 2010. Fine arts photographer and Mt. Lebanon resident Norman W. Schumm lent his collection to the Library & Music Hall to complement the re-opening of the Captain Thomas Espy Post No. 153 of the Grand Army of the Republic following its meticulous restoration. 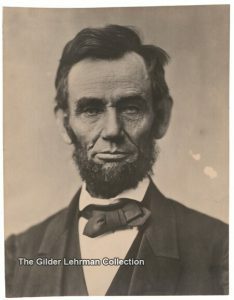 The Library & Music Hall now owns these remarkable photographs of the 16th President of the United States. Like the Espy Post it compliments, the collection is most notable for its intactness. 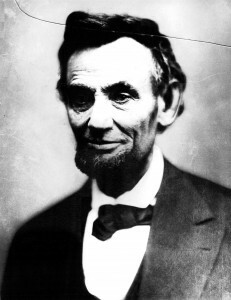 From the earliest known daguerreotype of Lincoln taken by N.H. Shepherd in 1847 to Alexander Gardner’s iconic “cracked plate” portrait taken the day before Lincoln’s assassination, the collection depicts a sweeping collection portrait of this arguably most revered American. The Lincoln Gallery is free and open to the public during normal library hours.